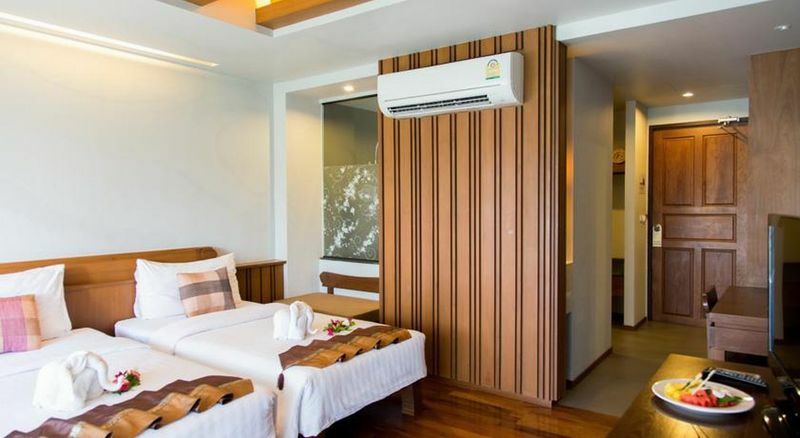 ﻿ Book Maehaad Bay Resort (Koh Phangan) - 2019 PRICES FROM $67! Have a question for Maehaad Bay Resort? 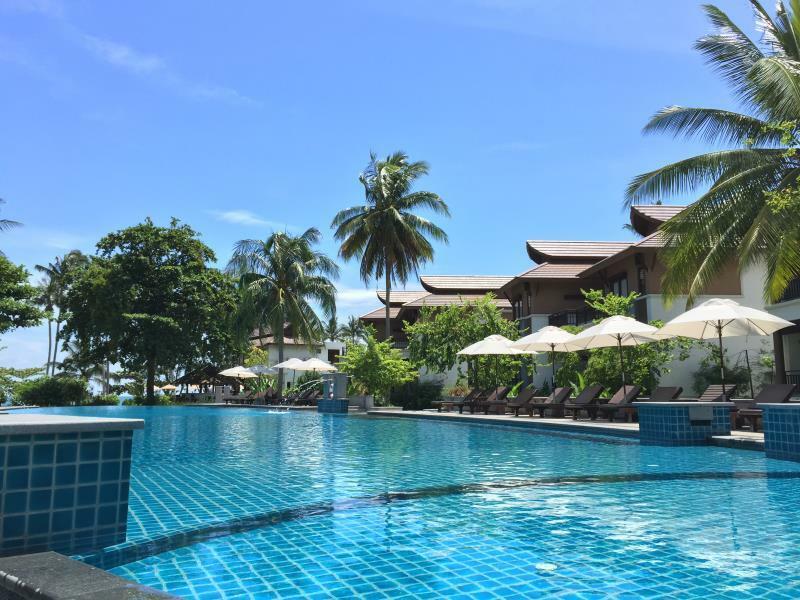 Located in the lovely area of Mae Haad, Maehaad Bay Resort enjoys a commanding position in the romance, beaches hub of Koh Phangan. Situated only 13 km from the city center, guests are well located to enjoy the town's attractions and activities. For those of you who want to venture out, Haad Thong Lang Beach, Haad Salad Beach, Chaloklum Bay are just some of the attractions available to visitors. At Maehaad Bay Resort, every effort is made to make guests feel comfortable. To do so, the hotel provides the best in services and amenities. To name a few of the hotel's facilities, there are free Wi-Fi in all rooms, Wi-Fi in public areas, car park, room service, family room. 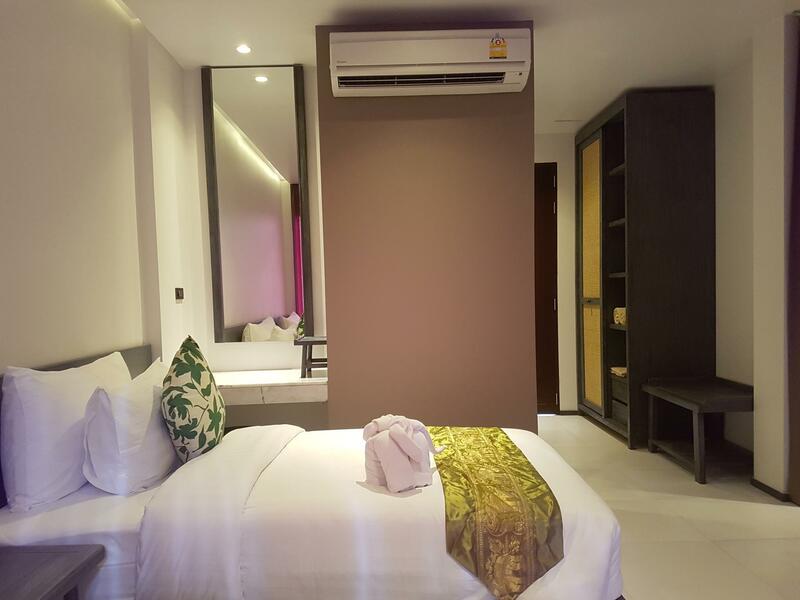 The hotel features 48 beautifully appointed guest rooms, many of which include television LCD/plasma screen, bathroom phone, free welcome drink, mirror, scale. Whether you're a fitness enthusiast or are just looking for a way to unwind after a hard day, you will be entertained by top-class recreational facilities such as hot tub, private beach, fitness center, outdoor pool, pool (kids). Whatever your reason for visiting Koh Phangan, the Maehaad Bay Resort is the perfect venue for an exhilarating and exciting break away. I’ve stayed around Koh Pha-ngan lots of times, mainly Haad Salad and Haad Thien but I have looked at hotels and bungalows across the East coast also. Maehaad Bay Resort was exceptional. We stayed a total of 9 nights. Staff are beautiful, the rooms are comfortable and luxurious for the price we paid. (Great deals online via Agoda) other sites and at the hotel is much more expensive. It’s worth paying extra getting a deluxe room for something special (was our honeymoon) but then we moved to a cheaper standard room which is in a different building. Less fancy but really comfortable, private and clean. Breakfast is a quality buffet with a huge variety. It is a massive hotel. Two pools. It’s not a small little villa and because of that it’s less intimate but it has been perfect for us! Maehaad is s beautiful area. Lots to explore and easy access to greats eats and wonderful waterfalls as hikes. I would definitely stay again and highly recommend! We stayed 5 nights here in the Maehaan resort but I think this was one of the best place I ever had. The staffs are extremely kind, always when meet with a guest smile and say ,,Hy,, in they language. When we asked something they was helpful. The accommodation has two swimmingpool. One is a crystal clear near the sea and one is a ,,sea,, imitation, because near the swimmingpool has sand. The sliding doors are close with magnetic cards. The rooms are clean. On the reception can rent motorbike easily. Near the hotel is the Koh Ma island so you can walk through the water to it. Always when you use the restaurant of the hotel you just need to write the room number to the bill and a signature and when you check out you will pay. In the restaurant of the hotel the sunset is visible so during your dinner you can see it. The breakfast is super and each day has different kind of foods on the menu, so you don't have to eat always the same. We are absolutely can recommend this place for everybody. Amazing stay we love the small pool in front of our room!! The beach is super beautiful. The room super confortable and the staff is just absolutely amazing!!! In love with all of them from reception to the restaurant these people are extremely kind and nice !!! Great room with the hotel located in a beautiful little bay. Staff friendly and helpful and room serviced very efficiently and very well. On the down side although breakfast had plenty of choice it was very chaotic. Not well laid out and staff struggling to keep up with demand. Also not enough loungers round the pool area and none on the beach. Had to go round the beach a bit and pay for a parasol in the sand...no loungers there either. Staff was really great, got stuck on Koh phangan during a tropical storm, they had generators powering the facility throughout the storm and continued all their services including room services and running the restaurant. They were all very helpful. Room was very big and comfortable, lovely pool. Amazing place for a calm stay, no active night life around, but plenty of things to do during the day, as the beach and the pool are great, the Ko Ma island is a treasure to explore. Whatchout - there is no privatr beach with sunbeds! We’ve been staying in garden villa with jacuzzi, it is nee, well designed and spacious! The only thing you have to account - there is no privacy at all in the bathroom (parctically no doors that you could shot) vs other rooms, and some walls of jacuzzi zone have the holes that make you visible outside. In the end we’ve adapted and didn’t care. The stuff is very nice and trying hard! Only during the new years party there were some questionable behaviors as seemed that they all got drunk :)) the whole NY party was quite a funny event, totally immature, but it was free for the guests and had tonns of great food. Great service at the reception - when our boat was cancelled due to upcoming Pabuk they managed fast to get us new reservation. The room was extremely comfortable and the bathroom/tub room very spacious - the highlight of the facility. The pool was also outstanding. This resort certainly caters to deep pocket foreigners. Aside from the included breakfast - which was excellent, we opted for dining off site where prices were a lot less. The location is quite remote, so transportation can be a challenge if you do not have a car, as we did. I cannot not recommend the place, but we will look for other options in future visits. During our stay, there was a bit of construction of the remaining property, but this did not impact our comfort or tranquility. It is a bit out of the way but aside from that the hotel was amazing and should be a 5 star. It’s worth being in the location it is just for the beach and the 360 bar nearby. Staff were amazing and even offered us a free upgrade when we came back after going to Samui. Pros: Haad Mae Haad reachable per feet Extraordinary (!) sunsets on the beach Taxi Boat directly available at the beach Rooms (new part of the hotel) awesome Very good restaurants around (I recommend Sunshine Restaurant) Bike renting supereasy Cons: Breakfast not optimal, cleanliness and options of food are problematic, too few places to sit down - this needs to be improved for a 4 star hotel. Relatively difficult communication with the staff due to bad english. Sometimes no warm shower water Construction works in progress in the new part of the hotel ————- All in all a very nice stay, but improvable. What it makes exceptional is the enclosed koh ma beach, which is a lovely place with options to drive to different beaches with the taxiboat. Sometimes quite crowded, but bar options are there to sit and watch the sunset. We loved the island. People are very nice and warm, very welcoming and flexible. Reception is always there to help out, no matter of the language. The hotel has 2 building, all the "standard room with pool view" does a pool view but its not the same pool like on the pictures!!! The second building is far from the beach, far from everything that the hotel offer (gym,hotel restaurant and more...) When we wanted to upgrade to the deluxe room (we didn't want a discount- we just wanted to pay the extra price that agoda offer) They gave us very high price to upgrade comper to agoda. We felt like we order room in one hotel and get room in another. Maehaad Bay Resort is beautiful and right on the beach. I came with a friend and we both enjoyed it. We also happened to be there while caught in the cyclone— one that hasn’t hit since 1962 so we were a bit scared. But the hotel took care of us during that time of uncertainty and maintained all its facilities even during a cyclone. We felt so safe and happy. Would recommend!! The rooms are good for a family of 4. Nice bathroom. Nice balcony with pool view. The pool was amazing and big. good for children. Near beach. the left side is beautiful. Near the center. We booked this hotel not knowing what to expect. It’s hard when you’ve never been to Koh Phangan to know where to stay. We were nicely upgraded to a superior room with a view of the whole resort, pool and the sea. The rooms are new, big and elegant. The staff are super friendly and the smiles at the reception make you always feel welcome! The breakfast was ok, you get all you need just that there was a lot of guests and sometimes the personnel are overwhelmed. One of the few things that needs improving is the cleanliness of room service.. our shower and bathroom floor was not cleaned for at least 4 days till we mentioned. All in all a perfect hotel to relax, get your value for money and the location is just perfect if you are looking for peace and quality holiday. We rented a scooter and were able to drive around, the roads are mostly new made and the traffic is low in comparison to Koh Samui. Will be coming back in the future!